While Turkey has faced many challenging times over recent years, a wide range of efforts have and continue to be made by the Turkish government to further improve the country’s investment environment. One such initiative is the recent introduction of a new law, ‘Law on the Amendment of Certain Laws for the Improvement of the Investment Environment numbered 7099’ (the “Law”), which was published in Turkey’s Official Gazette on 10 March 2018 to (i) support domestic and international investors, (ii) speed up the investment process and the establishment of a company, (iii) reduce costs and (iv) boost the economy. Several changes have been made to regulations governing Property Law, Law on Municipal Revenues, Customs Law, etc. including those that are outlined below. These changes came into effect on the date of their publication in the Official Gazette unless otherwise stated below. 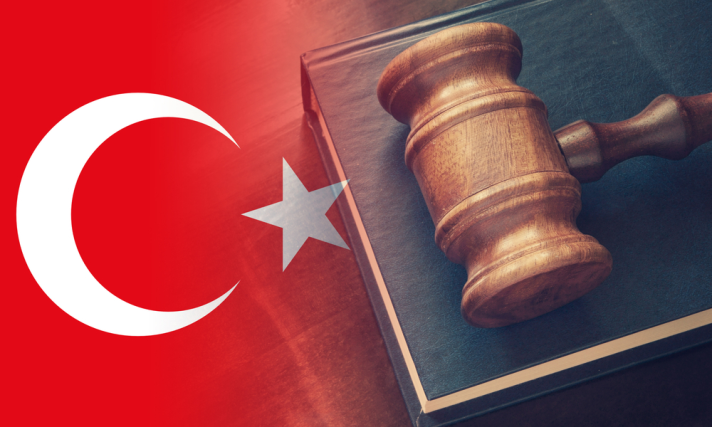 The following article provides guidance to investors on the procedural amendments in relation to company’s being established in Turkey. Amendments have been made to article 40/2, which has abolished the requirement to notorise the business name and the signature before Notary Publics prior to submitting them to the relevant Trade Registry. Every merchant will now submit its business name and a signature during all company transactions to the relevant Trade Registry directly. If the merchant is a legal entity, the business name and signatures of the signatories, which have the authority to sign on behalf of the legal entity, must also be submitted. The signature should be made in the presence of a designated officer of the Trade Registry by submitting a written statement and the procedures and principles as to its implementation, which will be regulated under a Communiqué to be issued by the Ministry of Customs and Trade. Changes have also been made to article 64. During the registration of joint stock companies and limited liability companies, the opening approvals of the company books are now only issued by directorates of the Trade Registry, rather than the Notary Publics. If the company books are kept electronically, the approval of Notary Publics or directorates of Trade Registry in their opening and closing process of the general journal and Board of Directors resolution book are no longer required. Articles 428, 430 and 431 have now been abolished as they proved to be highly burdensome for small scale joint stock companies. For example, previously, the law required that when companies sought to recommend a person, related to the company in any way - in order for shareholders to appoint as their representatives to vote and carry out other related actions in the general assembly meeting on their behalf, the company was also required to recommend another totally independent and neutral person for the same position. These had to be announced pursuant to the articles of association and published on the company’s website. Amendments have been made to articles 575, 585 and 587. Previously, authorities of Notary Publics were required to approve the signatures of founders and articles of associations of companies for limited liability companies. This is no longer the case. Now, articles of association should be signed by the founders in the presence of the designated officers of the directorates of the Trade Registry. As this amendment will only be applicable for limited liability companies, the articles of association of joint stock companies may continue to be executed before Notary Publics or before the director or deputy director of the relevant Trade Registry. This amendment came into effect on 15 March 2018. Under article 585, the pre-condition of payment of at least a quarter of the undertaken capital prior to the establishment has been removed for limited liability companies. In this context, founders of limited liability companies are no longer faced with the obligation to make this upfront payment. As to article 223 of the TPL, the opening approvals of company books kept physically by companies must be conducted by the relevant directorates of the Trade Registry during the establishment process. This article is in parallel to the amendment made in article 64 of the TCC, therefore, the authority of Notary Publics to carry out the opening approvals of the company books has also been removed. This amendment also came into effect on 15 March 2018. In accordance with the amendment made in article 11/3, during the establishment process of a company, the notification form will be directly sent to the Social Security Institution (“SSI”) by the relevant Trade Registry so that the work-place registration will be conducted without any application to the SSI in person. This amendment aims to shorten the time spent during the establishment process. The above amendments will be welcomed by many and provide only a small taste of the many measures the Turkish government is taking to retain and further enhance the country’s attractiveness for investors.